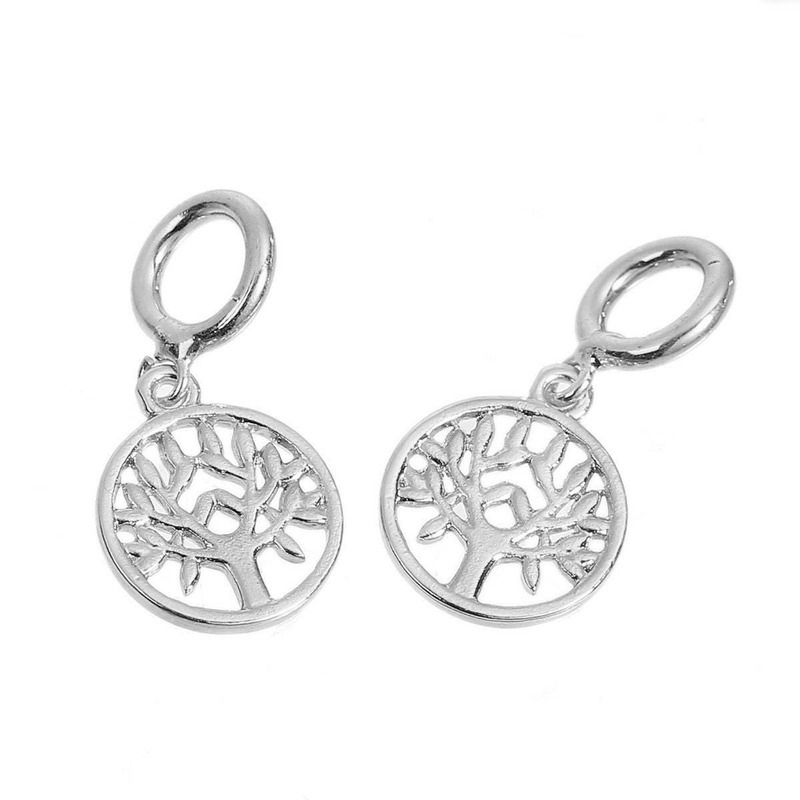 Two silver plated tree of life charms, 31mm x 15mm. 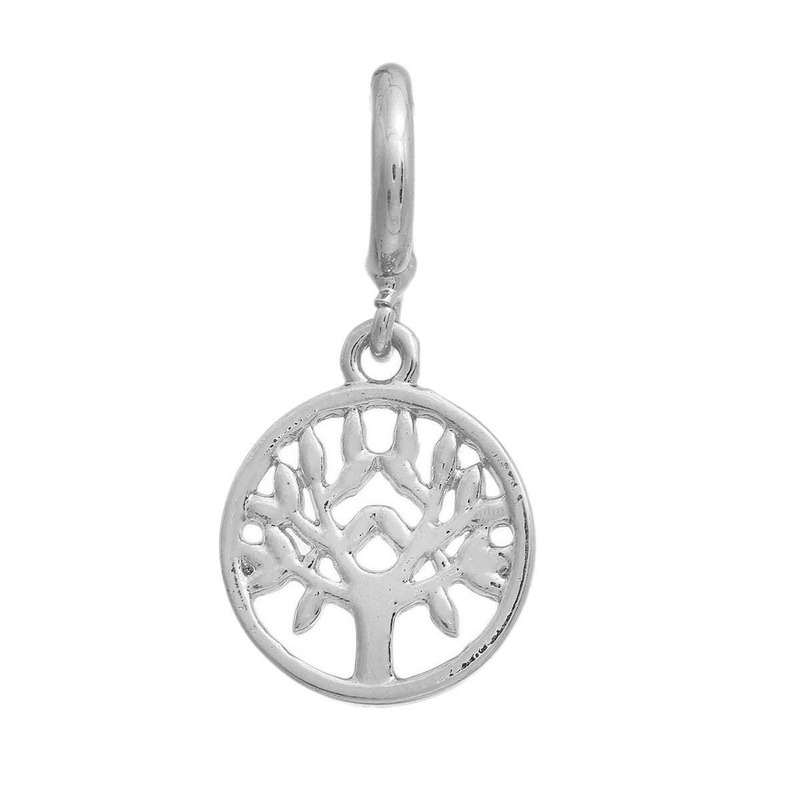 Each has a large ring for hanging on necklaces. 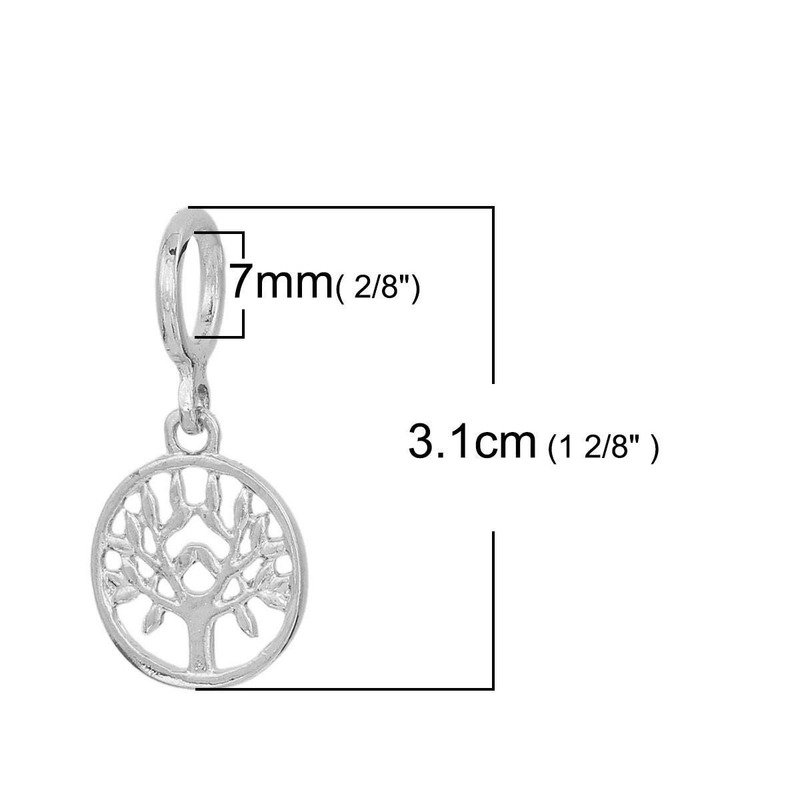 Hole size of ring is 7mm. Copper base metal. You will receive 2 charms.